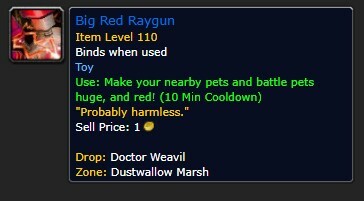 The Big Red Raygun drops from Dr Weavil on Alcaz Island. 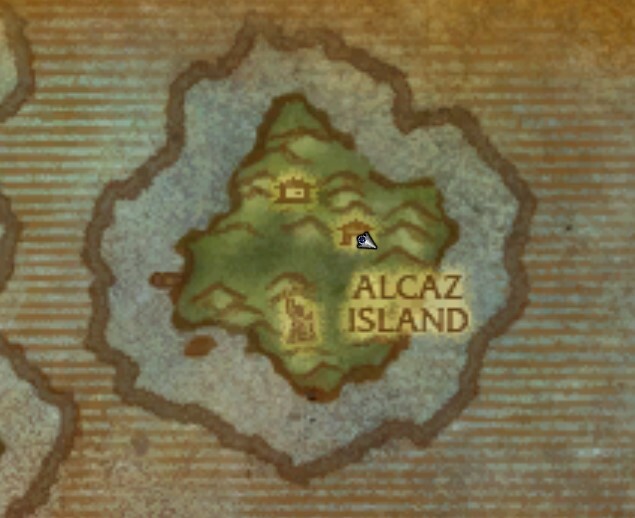 Alcaz Island was once part of the AQ40 opening quest chain, and even housed Varian Wrynn during his kidnap during vanilla / classic world of warcraft. Unfortunately, the island of Alcaz is in a phase zone. 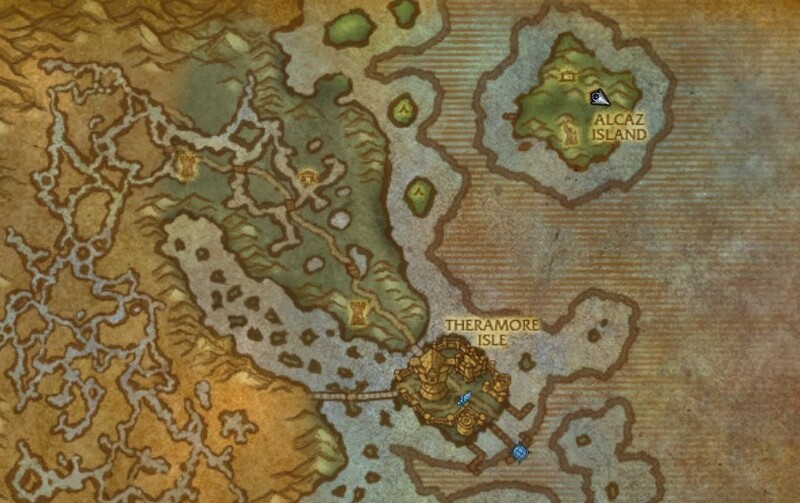 So if you have already completed Theramore in the pre-Mists of Pandaria scenario, then you must first visit Zidormi and revert the area to old Theramore. She is in Dustwallow Marsh across the bridge at 55.8, 49.6. 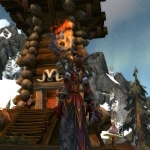 Click her, ask her to change back to old Theramore. 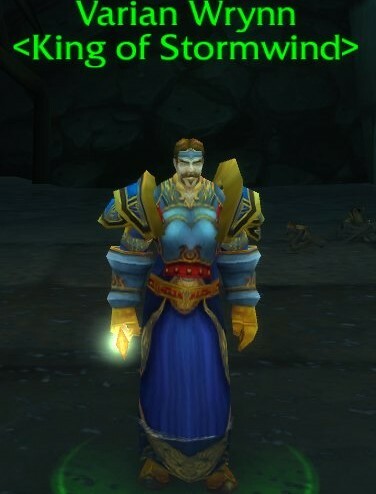 If you can’t find her, and the Theramore mage tower is intact, you don’t need to worry, you’re already in old Theramore. 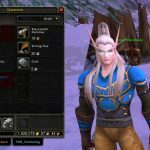 There are also a few patterns in old Theramore that you can pick up while you are there, but I’ll let you discover those for yourself. Today we’re off to Alcaz. It’s currently populated by level 110s, and Dr Weavil is level 112 himself. You can take a few friends for support, but the prevailing advice is to strip off all your gear and die repeatedly until you can get to Dr Weavil and resurrect in a safe corner. You won’t be able to fly, because of the flak guns, and you will need to somehow avoid the Security Bots and Hardened Defense Terrets. 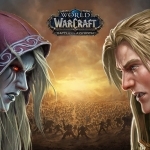 They are level 110 in Warcraft:Legion, and on World of Warcraft Battle for Azeroth beta still level 110, but will surely rise to level 120 for live Battle for Azeroth. Look for the two story building. On the way up you will find this guy. 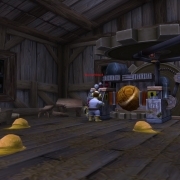 They turn your pets black or yellow-ish and sell for 100-150g on the AH each. Drudge Bolt Volley – Hits you with nature damage and a debuff that makes you take more nature damage. 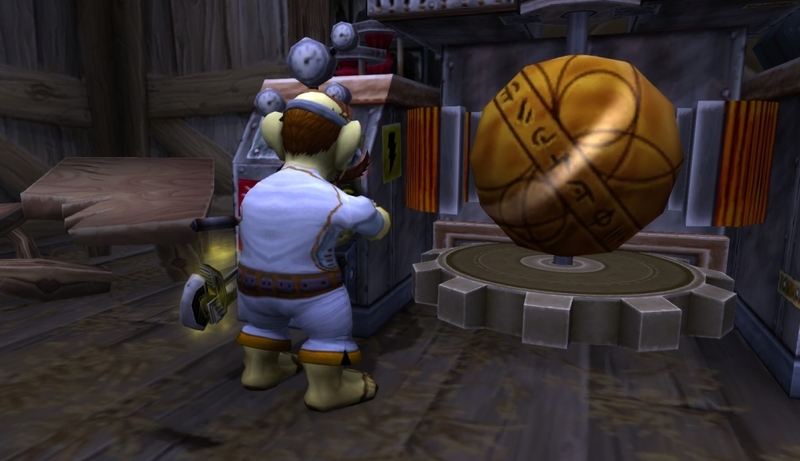 Stacks up to 10 – when it hits 10 stacks, you die. There is a pretty long re-cast timer on it, though, so if you can dodge two of them in a row (interrupts / immunity bubbles) then it will drop off pretty easily. Mind Shatter – A short, 3-4 second stun that hurts REAL bad. Kill Dr Weavil, loot him, and wait for his repop/ respawn, it took 7 minutes for him to respawn for me. Keep killing him until you have enough rayguns for the AH! 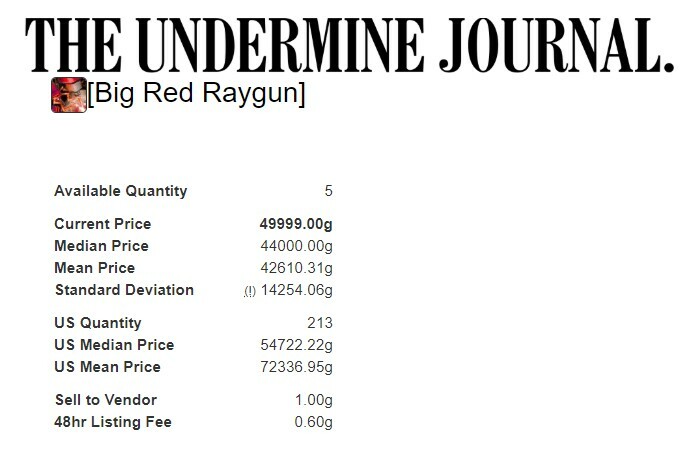 Big Red Raygun has a 3% drop rate. 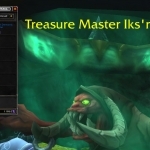 Perhaps pick up the addon “Rarity” to track how many kills you have got. You should get 8 kills an hour. 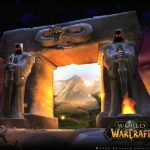 Dr Weavil and his gang are level 110 on the Battle for Azeroth Beta. If they are not upgraded to level 120 on launch (August 2018) then they’re going to be much easier to farm, and therefore the ray guns will come down in price, and it will be a ray gun free for all! 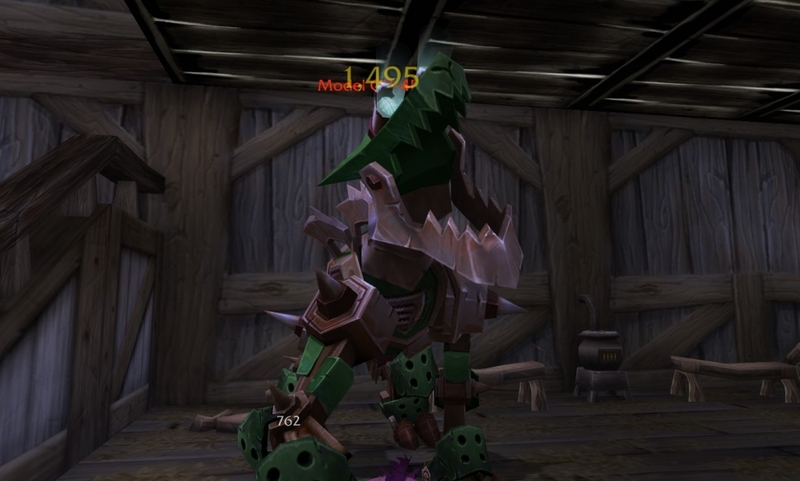 If the mobs scale up to 120 you should expect the price to hold and to rise slightly with inflation. Good luck with your raygun/s people!